Sign-up Bonus: Earn Double Cash Back – that’s 3% cash back on eligible purchases in the first year, up to $20,000 spent. After that, earn unlimited 1.5% cash back on all eligible purchases. Chase Freedom Unlimited® is a cash back credit card with no annual fee, a very good sign-up bonus, a long intro 0% APR promotion, and a flat, unlimited 1.5% cash back earning rate on all purchases. It shares many similarities with the original Chase Freedom card, which also lacks an annual fee and comes with generous sign-up and intro APR promotions. The biggest distinction between the two is that Freedom Unlimited does away with the original Freedom’s rotating cash back categories. Those categories allow cardholders to earn up to 5% cash back on select purchases, up to a quarterly spending cap, in addition to a 1% baseline earning rate on all other purchases. However, they are frequently criticized as being annoying to activate and track. If you prefer original Freedom’s 5% categories, don’t worry: Chase has no plans to kill that card and continues to accept new applications for it. Chase Freedom Unlimited is comparable to a number of other cash back cards with flat, unlimited earning rates: Capital One Quicksilver Cash Rewards Credit Card (1.5%) and Citi Double Cash Card (1% on purchases and 1% on bill payments above the minimum) are 2 noteworthy examples. It’s also comparable to cash back cards with tiered or rotating cash back categories, such as the Discover it Credit Card and American Express Blue Cash Everyday. Earn Double Cash Back – that’s 3% cash back on eligible purchases in the first year, up to $20,000 spent. After you hit the $20,000 spending threshold, you’ll earn unlimited 1.5% cash back on all eligible purchases. Chase Freedom Unlimited earns an unlimited 1.5% cash back on all purchases, with no caps, restrictions, or spending categories. Cash back is tracked via Ultimate Rewards points, which are worth $0.01 apiece – therefore, 10,000 Ultimate Rewards points equals $100 in cash. As long as your account remains open and in good standing, your points do not expire. You can redeem your accumulated cash back for cash equivalents (such as statement credits and bank account deposits), gift cards, travel and general merchandise purchases made through Chase’s Ultimate Rewards portal, and merchandise purchases made direct with online retailers (such as Amazon). Chase Freedom Unlimited allows cash redemptions in any amount, but merchandise redemption minimums vary based on item cost. If you also have the Chase Sapphire Preferred Card ($95 annual fee) travel rewards card or the Chase Ink Business Preferred Credit Card ($95 annual fee) business card, you can transfer points earned through Chase Freedom Unlimited to those accounts. Once transferred, you can redeem your points for travel purchases through the Ultimate Rewards portal and receive a 25% bonus (for instance, boosting the value of a 50,000-point redemption to $625), or transfer your points at a 1-to-1 ratio to approximately 10 frequent traveler programs. However, having a Chase Freedom Unlimited card doesn’t automatically qualify you for Sapphire Preferred or Ink Business Preferred, and you’re not eligible for the redemption bonus or 1-to-1 point transfer if you only have Freedom Unlimited. There is no annual fee. Foreign transactions cost 3%. Balance transfers cost the greater of $5 or 3%, while cash advances cost the greater of $10 or 5%. This card has a 15-month 0% APR purchase and balance transfer promotion. Once the introductory period ends, Chase Freedom Unlimited’s regular purchase and balance transfer APR ranges between 17.24% to 25.99% variable, depending on your personal creditworthiness and prevailing interest rates. From day one, the cash advance APR is 27.24% variable. There is no penalty APR. This card requires good to excellent credit. Any notable blemishes on your credit record are likely to disqualify your application. No Annual Fee. Chase Freedom Unlimited doesn’t have an annual fee, which is great news for cardholders who don’t earn points fast enough to offset the potential cost of a recurring charge. Great Intro APR Promotion. This card’s 15-month 0% APR purchase and balance transfer promotion is among the best in the no-annual-fee cash back category. Competitors such as the Capital One Quicksilver Cash Rewards Credit Card and Discover it offer 0% APRs for 12 months or less. Very Good Sign-up Bonus. Freedom Unlimited earns 3% cash back during the first year, up to $20,000 spent (then 1.5% cash back, with no caps or restrictions). That’s up to $600 in potential first year bonus cash – far better than most competing no-annual-fee cash back cards. Cash Redemptions in Any Amount. 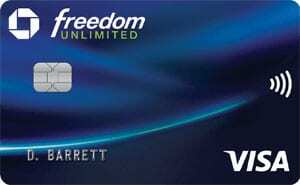 You can redeem cash back earned with Freedom Unlimited at any time and in any amount. Wide Range of Redemption Options. Thanks to Chase’s Ultimate Rewards portal, you can redeem your accumulated rewards for virtually anything (including travel, merchandise, and purchases made directly with third-party retailers), and usually at a flat $0.01-per-point rate. This is a big perk relative to competitors such as Barclaycard CashForward, which limits redemption methods to cash equivalents. No Rotating Categories. Chase Freedom Unlimited doesn’t have tiered or rotating spending categories. This removes one of the biggest knocks against the standard Chase Freedom card, which requires users to manually activate 5% cash back categories each quarter. With Freedom Unlimited, you don’t even have to think about earning cash back – the card automatically maximizes your earnings for you. No Penalty APR. This card doesn’t charge penalty interest. That’s good news for cardholders who occasionally miss payments. Doesn’t Require Perfect Credit. Chase Freedom Unlimited doesn’t require perfect credit. Still, this card isn’t designed for people with poor or fair credit, but a good to very good score isn’t sure to disqualify your application. Some cash back cards require legitimately excellent credit. Cash Back Earnings Capped at 1.5% After the First Year. Chase Freedom Unlimited’s cash back earning rate is capped at 1.5% after the first year, no matter how much you spend or what types of purchases you make. By contrast, the original Chase Freedom (along with Discover it Cash Back) offers the opportunity to earn up to 5% in select categories, and Citi Double Cash Card earns a flat, unlimited 2% back (as long as you pay at least the minimum) on all purchases. Has a Foreign Transaction Fee. This card charges a 3% foreign transaction fee, which is a major bummer for people who frequently travel outside the United States. Discover it Cash Back and Discover it Chrome don’t charge foreign transaction fees. No Redemption Bonus. Chase Freedom Unlimited doesn’t offer a redemption bonus under any circumstances. This is a notable disadvantage relative to some competing cash back cards, which offer across-the-board 5% or 10% bonuses at redemption. Chase Freedom Unlimited® offers some faint hope that credit card issuers actually listen to their cardholders’ concerns. Why? Because this card, first issued years after original Freedom’s debut, addresses the cardholding public’s biggest complaint about its predecessor: those pesky rotating 5% categories, which require manual activation each quarter – and mental effort to remember. Freedom Unlimited’s flat, unlimited 1.5% earning rate on all purchases (after the first year) isn’t the most generous cash back deal on the planet, but it’s much easier to manage. And that’s welcome news for busy cardholders who don’t want to think twice about which card to use in any given circumstance. Chase Freedom Unlimited® is a no-nonsense cash back credit card that’s ideal for people who don’t want to deal with annual fees, rotating spending categories, and complicated rewards programs. 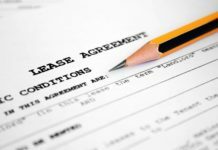 Thanks to the long intro purchase APR period, it’s also a solid choice for people who wish to make large purchases they can’t pay off right away. Chase Freedom Unlimited isn’t the best card for people who want to earn the most cash back possible, as a number of competing cards offer higher baseline or category earning rates. This card’s great intro APR promotion on balance transfers and purchases, strong sign-up bonus, flexible and varied redemptions, somewhat laid-back credit requirements, and lack of an annual fee and of manual category activation are all big perks. Its cash back earnings cap, foreign transaction fee, and lack of a frequent spender bonus all hurt it.